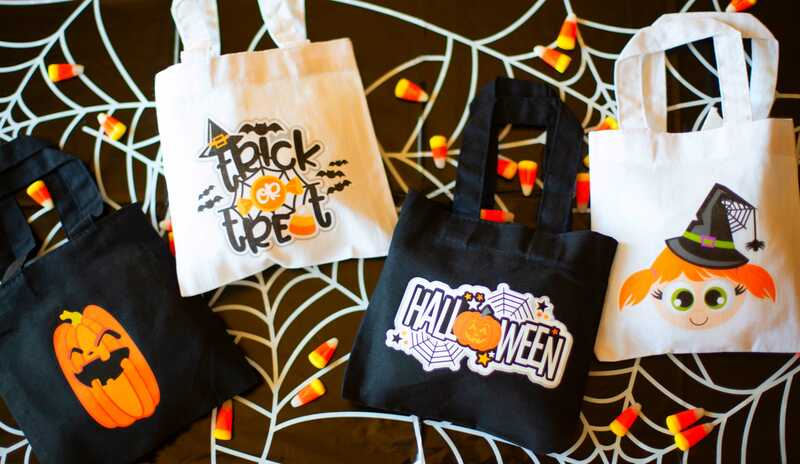 Tis the season for Halloween parties with lots of sweet tricks and treats! 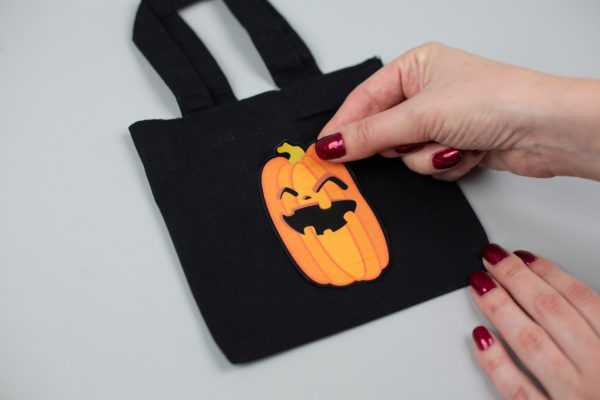 Today we’re going to show you how to create these mini Halloween-themed tote bags. 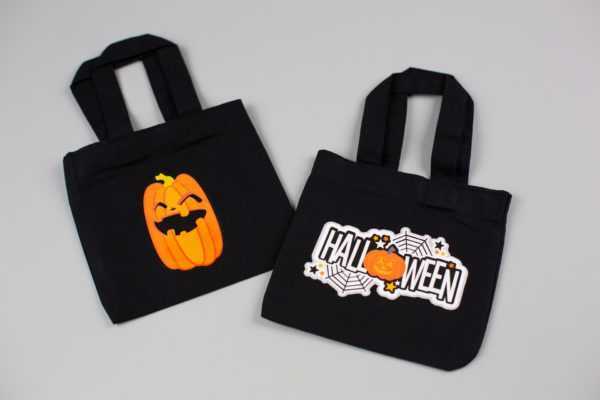 They are a great option for holding candy and any other party favors you want to hand out. 1. 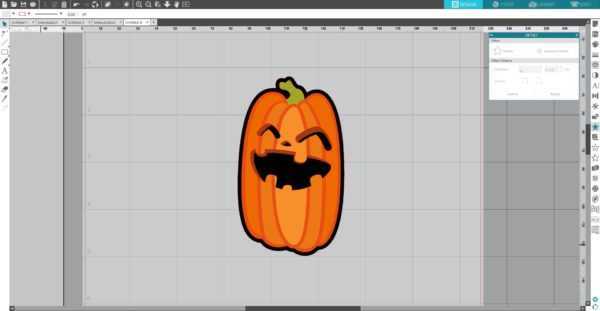 Open the Happy Jack-o-lantern design (Design ID #276065) in Silhouette Studio®. 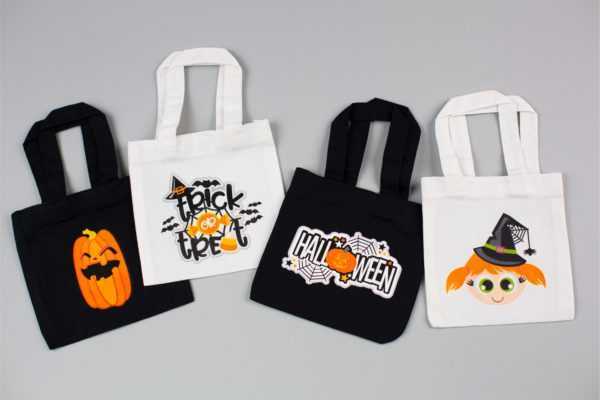 Assemble the design, group it, and resize it so that the design will fit on your mini tote. 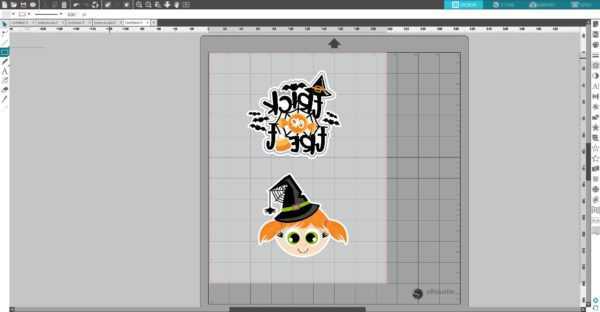 Add an offset line to the design. To do that, select your image. Then go to the Offset panel or right-click your image and select “Offset.” If you don’t want a white outline around your image, just skip this step. DO NOT MIRROR THE IMAGE. 2. 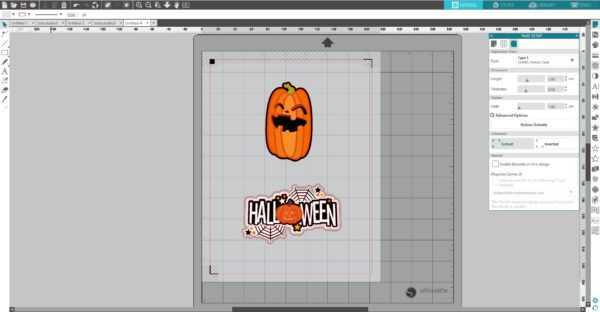 Open the Halloween Title design (Design ID #149246) in Silhouette Studio®. Add colors to the design pieces and assemble the design. 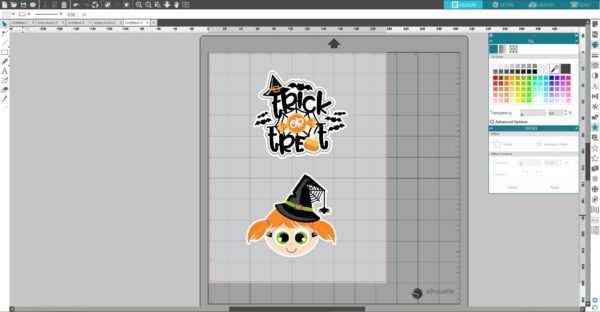 Add an offset line and group the design. 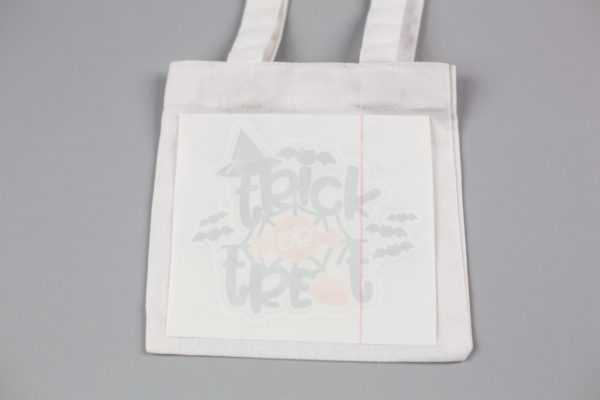 Resize the design so that the design will fit on your mini tote. 3. In the Page Setup window, turn on the registration marks by setting the style to Type 1. 4. 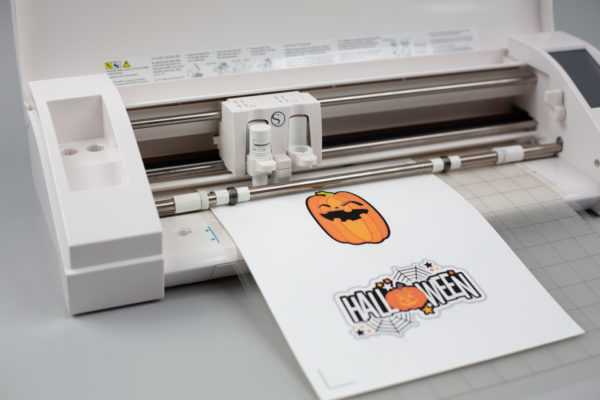 Feed the Printable Heat Transfer material into your inkjet printer so that it will print on the blank side (not the monogram side). 5. Place the printed sheet on your mat and feed it into your Silhouette machine. 6. In the Send panel, choose “Heat Transfer, Printable (Dark Fabric)” as your material type. Make sure your Silhouette machine will just cut out the outline of your shapes by selecting the Cut Edge option. Adjust your blade if necessary and send your cut job to your Silhouette machine. 1. 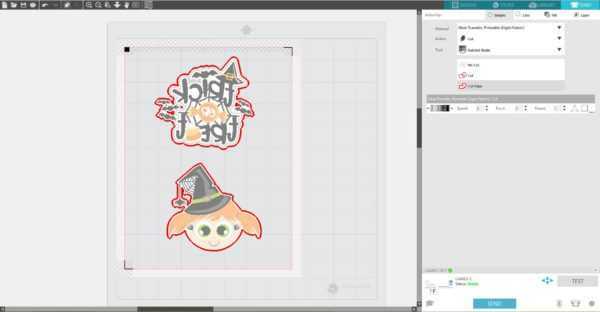 Peel the printed image off the backing and place it printed side up on your project. 2. Cover the image with a layer of thicker fabric. 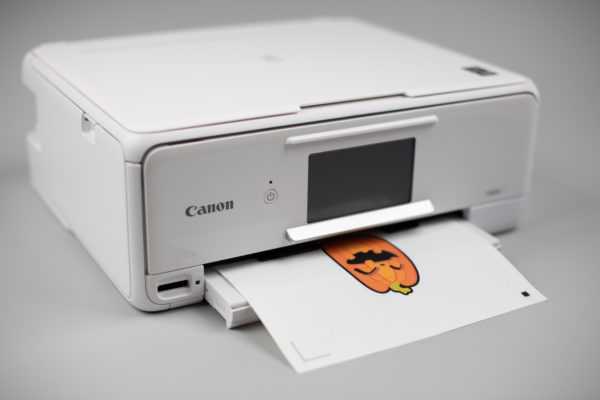 With an iron (on the cotton setting) press down on the image for 30–40 seconds. And we’re done with black totes! 1. 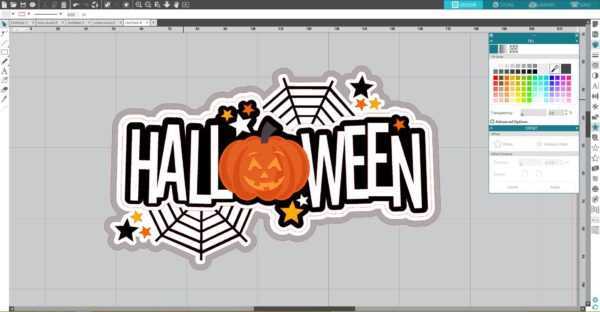 Open the Trick or Treat Title design (Design ID#275767) in Silhouette Studio®. In the Page Setup panel, change page size to Letter. 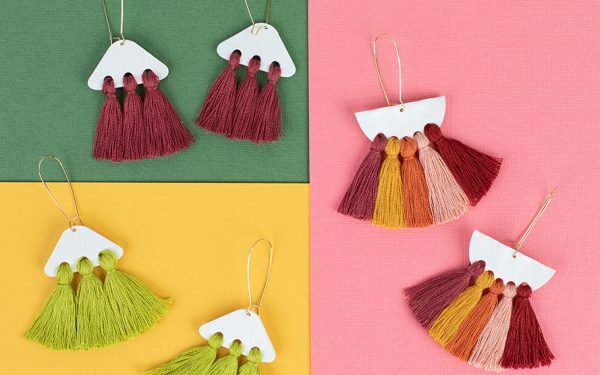 Add colors to the design pieces and assemble the design. 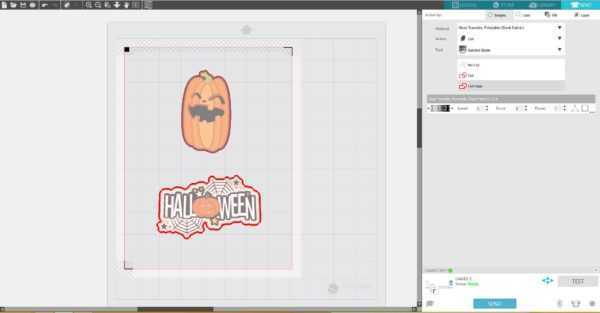 Add an offset line and group the design. 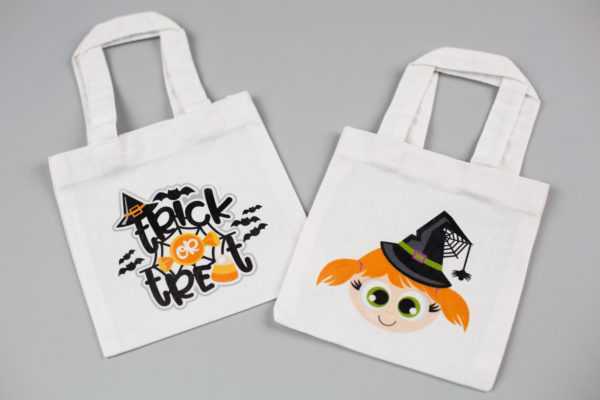 Resize the design so that the design will fit on your mini tote. 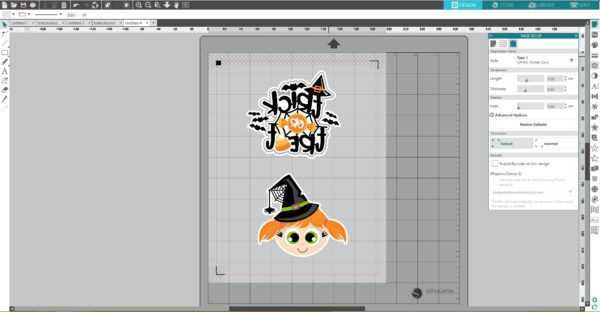 Repeat the same steps for the Witch design (Design ID #152003). 2. MIRROR THE DESIGNS SO THAT THEY ARE REVERSED. To do that, select your image. Then go to the Object menu (on the top left panel on the screen), select Mirror, and then Flip Horizontally. Or you can right-click your image and select “Flip Horizontally.” 3. In the Page Setup window, turn on the registration marks by setting the style to Type 1. 4. 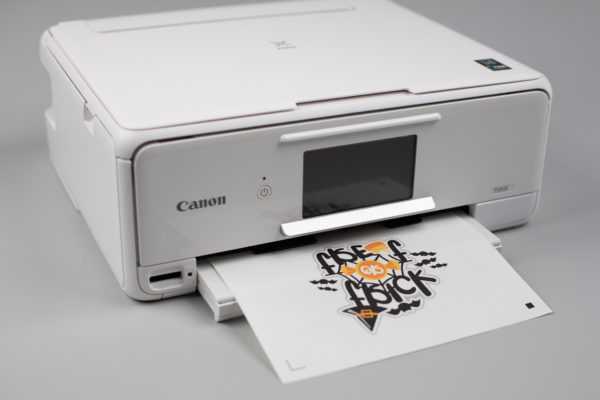 Feed the Printable Heat Transfer material into your inkjet printer so that it will print on the blank side (not the lined side). 5. Place the printed sheet on your mat and feed it into your Silhouette machine. 6. In the Send panel, choose “Heat Transfer, Printable (Light Fabric)” as your material type. Adjust your blade if necessary and send your cut job to your Silhouette machine. 1. Peel the excess transfer material aw, leaving only your design on the film backing. 2. Place the sheet face down on your fabric with the film backing on top. 3. 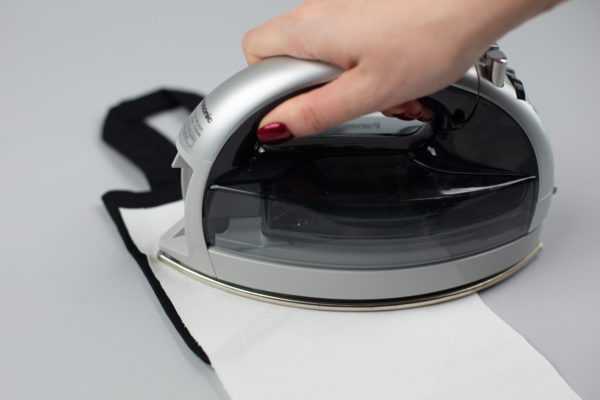 With an iron (on the cotton setting) press down on the liner covering your image and iron each part of the image for approximately 2 minutes. 4. Remove the liner while the heat transfer material is still hot. We’ve finished our totes! 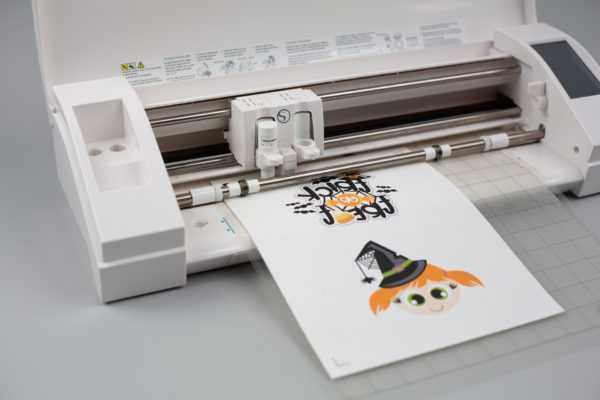 We love how the printable heat transfer makes it so easy to customize fabric surfaces. 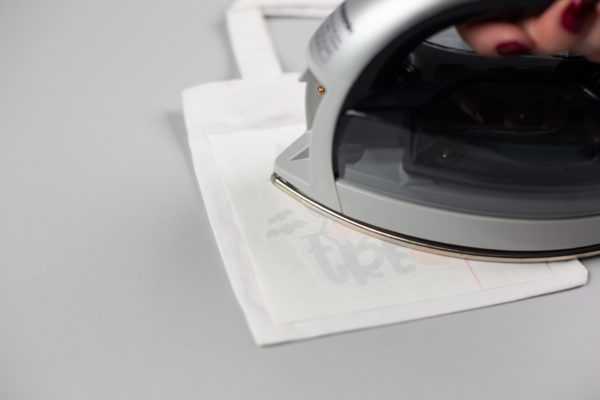 What are you going to use your mini tote bags for?